Most would agree that there are days when going to the office does not seem appealing, and Lt. Col. Steve “Thirsty” Smith (BE 85) of Shreveport, Louisiana, is no different. However, what sets him apart is that he was rewarded for avoiding the office. 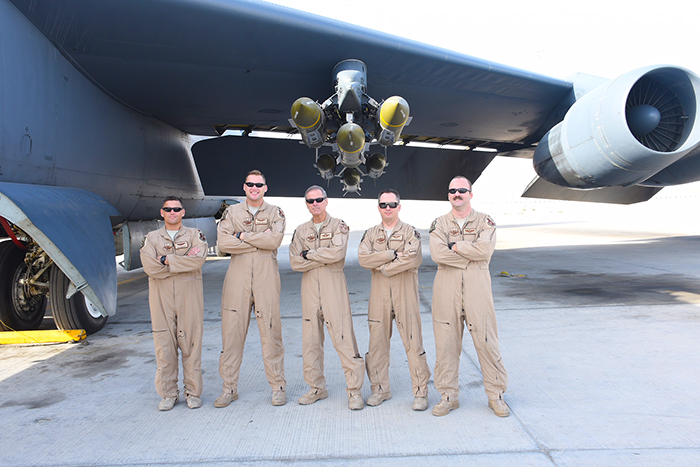 In fact, Smith, who pilots the B-52 bomber for the U.S. Air Force, recently hit a 10,000-hour milestone. Smith, a member of the Arnold Air Society ROTC fraternal organization, had a connection to the Air Force through his father, which sparked his interest in the University of Mississippi’s ROTC program. However, it was the desire to help innocent people that ultimately drove him to pursue this career. “Getting to fly combat [does not] sound like something a normal person would want to do, but it really is rewarding to know that something you’ve put your heart and soul into for years is paying off to support innocent people on the ground,” he said. Smith has put his heart and soul into his career, and his love of flying is what led to his achievement of the 10,000-hour milestone. While the B-52 jet will always be special to him, he is amazed at its development over the last fifty years. 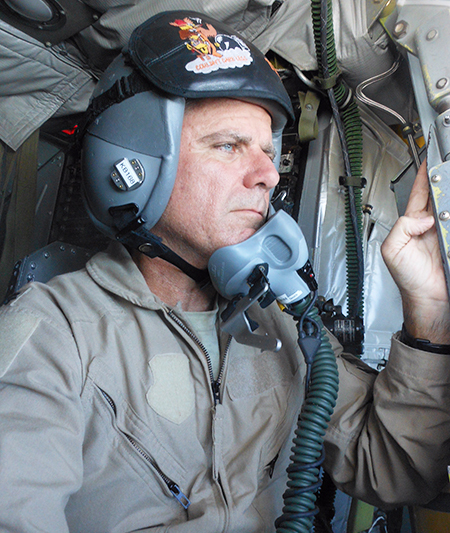 Smith currently works at the B-52 Schoolhouse Formal Training Unit where new students are taught how to fly the B-52. When describing what his job looks like, he explained that he typically works on a two-day rotation. Smith’s job is never boring. Because of his service as a pilot, he has traveled all over the world, including Guam, England, Spain and Australia. Smith loves his job because it provides him an opportunity to continuously grow. He learns something new every time he flies, and his job does not come without tremendous obstacles. “Leaving your family, your wife and kids, it’s tough,” he said. Aside from being separated from his family, it can also be difficult for Smith to process the loss of life associated with his job. The difficulties that come with Smith’s job are eased by the strong support system he has in his wife, in particular. Smith said his coworkers also provide encouragement, and he plans to continue working in the Air Force as long as possible. Lt. Col. Steve Smith is an active member of the Ole Miss Alumni Association. Lt. Col. Smith, Ole Miss thanks you.